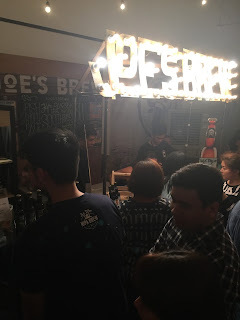 From my last post that i wanted to organise the biggest beer festival in Manila which currently failed but i'm still pursuing my dreams to do one. Even though i lost money on my last stunt, i'll just charge it to experience. It's very inspiring to see fellow beer advocates pushing themselves to the limit in pursuit of the craft beer revolution. Good thing that we have Jun Flores who gave his time in organising for the benefit of the entire local craft beer scene! Good Job Mang Kiko! I wish i could be there all 3 days, but i only managed to visit once and man i tell you, its all worth it! 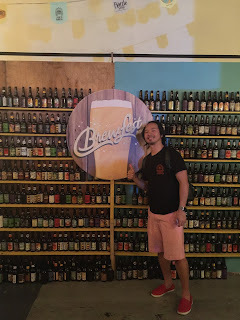 I've been beer blogging since 2011 and i am really amazed that there are a lot of new local craft beers that i am not aware of, parang kabute! I wanted to try all but we physically can't , craft beers have really good flavors and high alcohol content! My strategy here is to try the new ones and skip on the ones i already knew and tasted. 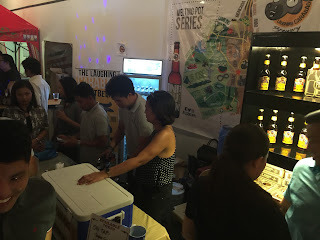 I tried the abbey ale of Dessert Fathers Brewing Co. of Batangas. I said hi to Pedro's Nadine Fanlo. I tried Lee David's beer. He is a member of Manila Mashers Homebrew Club and my gym mate. 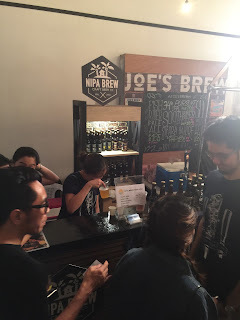 The Manila Masher Homebrew Club let me tasted their beers, so many I forgot which ones. I should've tried one of Alamat Craft Brews dark side beers but their sold out. 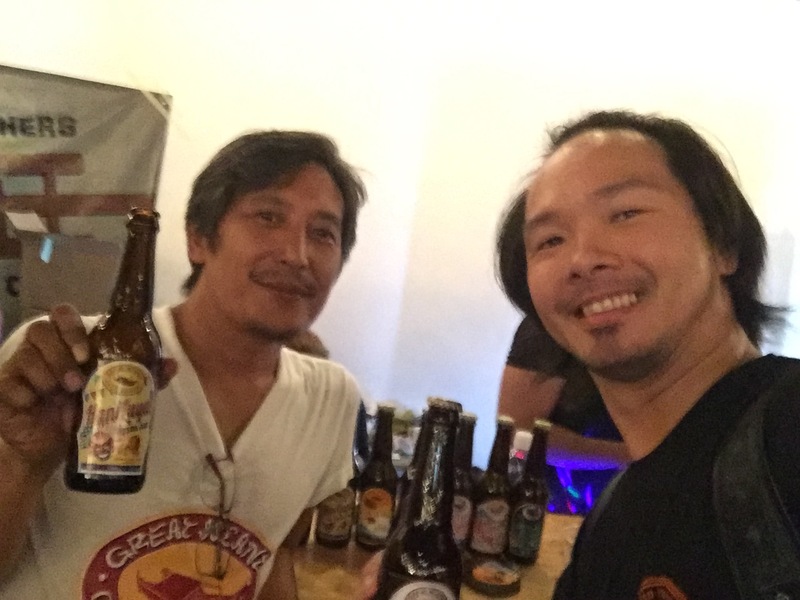 The beer judges with Mang Kiko photo bombing. Tom and Kevin of the PCK. I tried the starman IPA of CraftPoint Brewing recommended by fellow judenite, Marvin Moreno. Not to mention the beers my wife drank which i took a sip from also and the many trials i had. Whew! Went home around 230am and still managed to be home in one piece. 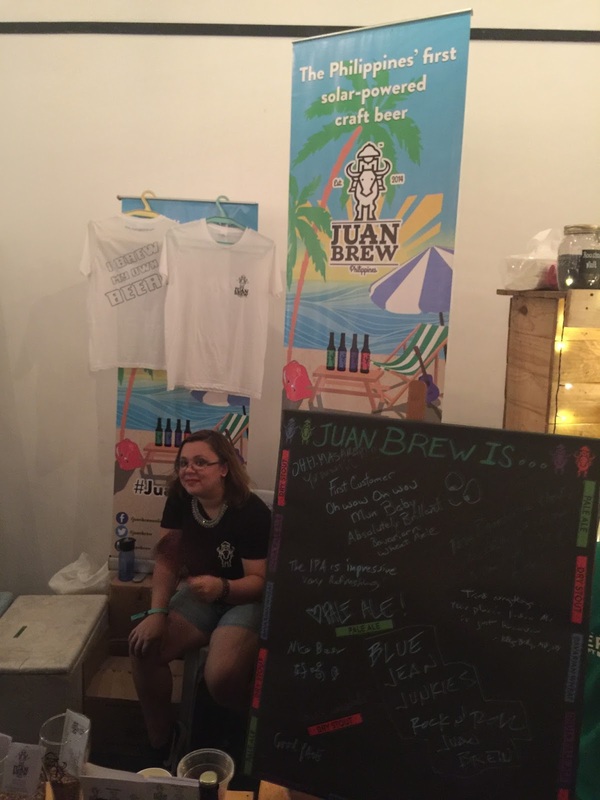 I wanted to try other new breweries like 63 North, Sikatuna, Juan Brew and Santiago. Kaya there is a reason to visit the next craft beer event. Another good news is that, @seabrew or South East Asia Brew is scheduled to hold its annual conference and trade show in Manila this coming June 2018. Watch our for it! 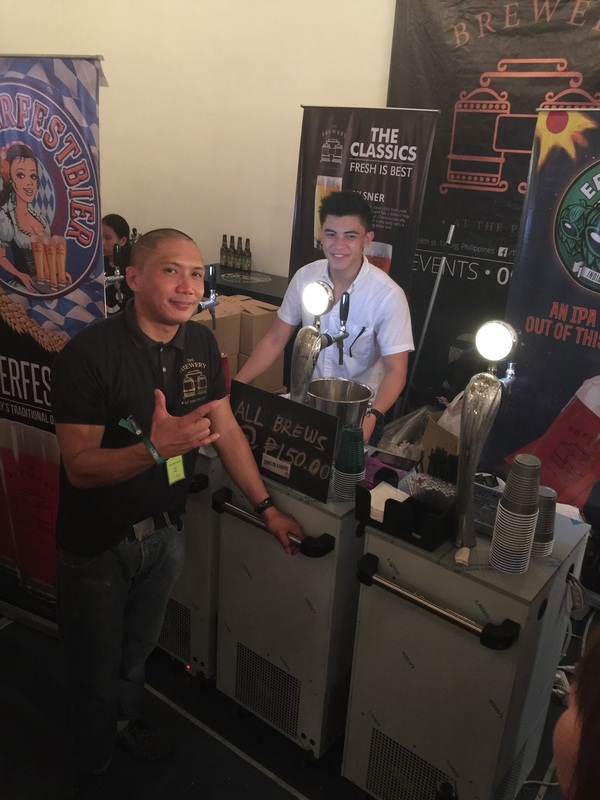 The biggest challenge in organising this Manila International Beer Festival is bringing the other 5% of the beer market in one roof! The imported beer and the craft beer has a totally different business platform and that makes it so much difficulty, that i need to celebrate in fulfilling this! The outcome will be on November 18! Cheers to that! I’ve been blogging about beer since 2010 and I have noticed how the scene has changed these past few years. 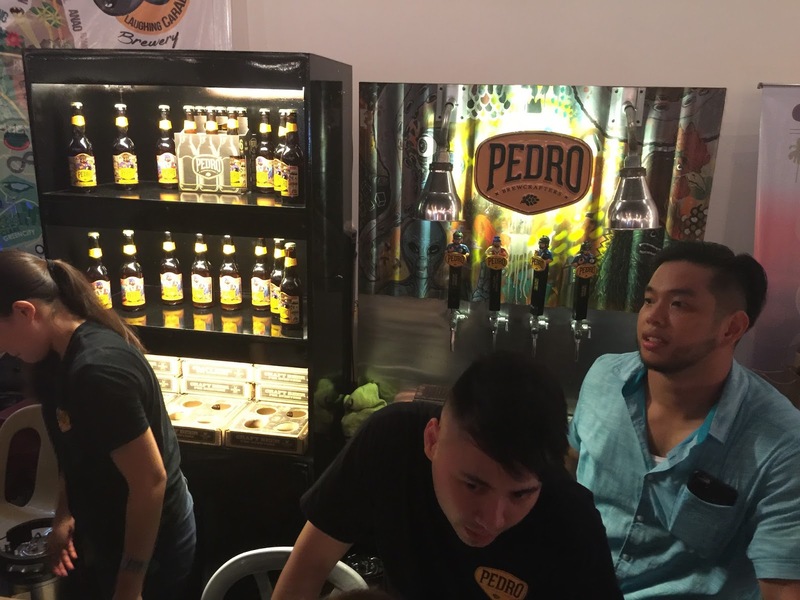 Much of the development can be attributed primarily with the Filipinos’ love for beer. This fascination goes hand in hand with our decades of enjoying our very own San Miguel Beer, our country’s pride and joy when it comes to beer. We always have that brown bottle together with our meals, in our gatherings and even when we’re out partying. 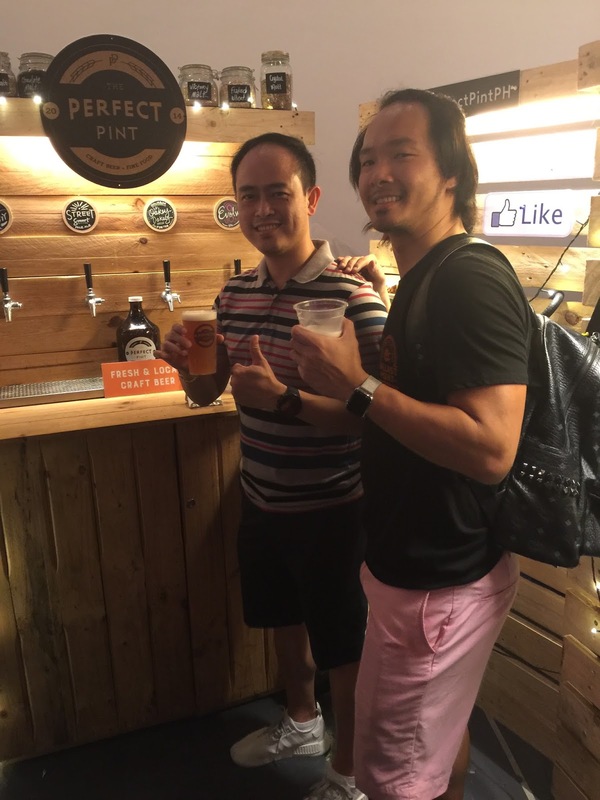 Even foreigners have come to enjoy the famous Pale Pilsen which keeps them coming back to our country like any other local attraction. But like I said, the beer industry has been evolving and as the industry changes, so as the beer drinkers who have been chugging down bottles and bottles of beer consistently. As you go through the menu of your favorite bar or as you gaze into the liquor section at the supermarket, new brands have started to sprout apart from the San Miguel brands that we usually know. You may have noticed this with the different brands that I have featured here, if you have been following my blog. The once elusive European favorites that you have had in your trips back in the day are now visible in most bars in the metro. The Asian counterparts led by the Japanese giants have consistently been coming in and out of the market, trying to make a mark with the connoisseurs. And now even the San Miguel group has introduced their lifestyle brands to keep up with this trend and brought in one of the variants of Kirin. These are just your commercial brands, we haven’t talked about the other side of the spectrum which is ruled by the craft brewers that have touched base with the market as well. At this point, I guess it’s high time that we enjoy these brands and not think about anything but savoring every bit of taste each beer brand has. I mean, sans the price, the correct pronunciation of the brand or even the alcohol content, WE NEED TO ENJOY these brands! 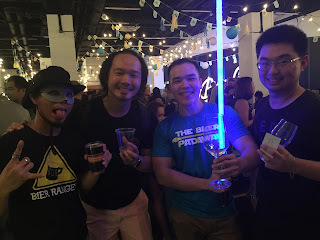 That is why I’m very happy to announce that Beerloverinmanila.com and Happy Box Media are coming up with the biggest beer event this 2017 with the Manila International Beer Festival on November 18. To be held at the Metrotent, this one-day event is going to bring in all the big commercial beer brands and craft beers in one roof. 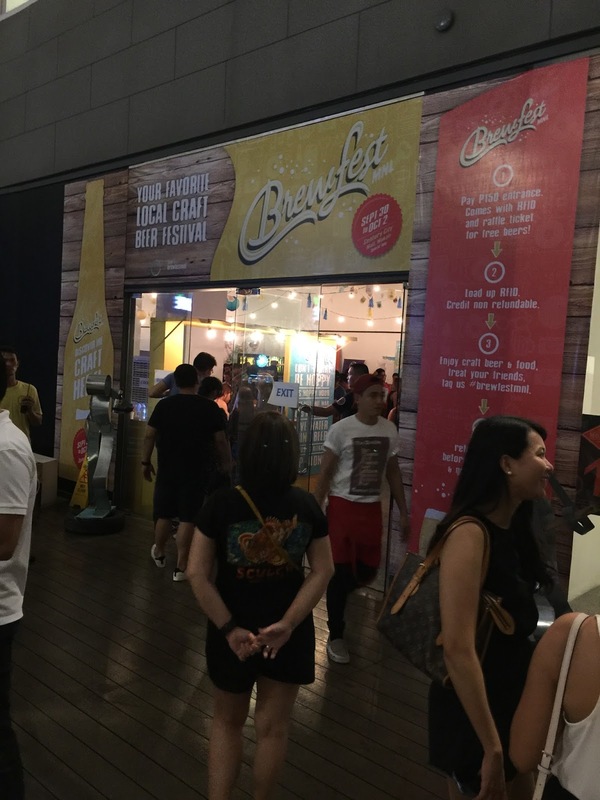 The whole concept of just having fun is always connected with beer that’s why this is the perfect event for beer lovers like you and me! Guests can taste and enjoy the different brands and just let loose and drink. There will also be games, raffle and music acts to complete your beer tasting experience for this event so you really need to get everyone you know who loves beer to be here! I'm also inviting beer distributors, big or small, craft beer association of the Philippines, beer equipment suppliers to join. This is a collective effort to raise beer awareness to Pinoys. Call me for more info or follow us on Facebook (@beerloverinmanila) for updates on this event. Cheers! While browsing through Linkedin today, saw this article posted by Pham Le Duc titled "The Beer Market in Southeast Asia"
In his article, he discussed the overall beer market among our Southeast Asian neighbours or otherwise known as TIPMV and beer imports look bright for the Philippine market. Why? In the figure shown above, you can see that beer consumption in the Philippines grow at a static rate of 15% annually. Which is huge for 100M Filipinos! 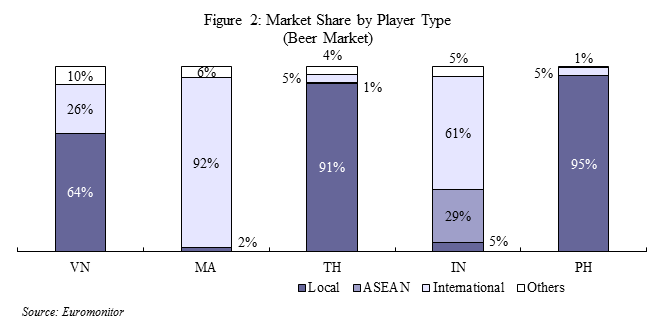 Philippines and Thailand have a similar chart with its local beer companies grabbing majority of the market, the only difference is that Thailand's local beer market is shared by 2 companies while San Miguel Beer Corporation takes the biggest chunk at 91% and leaving the 4% to its closest competitor in Asia Brewery Co. Inc. Leaving close to 5% to the imported beer segment. And even if the chart doesn't show, there is a growing Craft Beer market in the country. 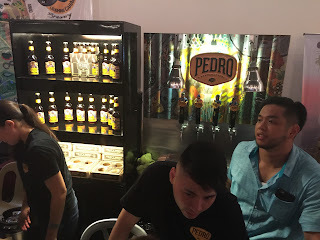 The beer market in the Philippines will be vulnerable in the coming years because of the big youth population who are willing to try new beer flavors and beer brands with purchasing powers. The country is also optimistic with the tourist industry and expecting a surge in visitor arrivals from China, Russia,Japan, USA and the South East Asian neighbor who are willing to spend for a good beer. The future is bright for the beer industry specially to the beer import segment. The Pinoys these days are somehow exposed to a lot of beer varieties, our OFW brothers and sister for example are pretty much exposed to the beers available in their working countries and when they come home to the Philippines, they have the purchasing power to drink imported beer once in a while with their family. Another group that are market changers are the Fil-foreign locals, they have the money and willing to spend it over a good craft beer or imported beer. Another angle is the switch to Federalism, if this pushes through and FDI (Foreign Direct Investment) is in place. The beer market is definitely changing. The beer brands who are already present in the country now will reap the most when this happens. 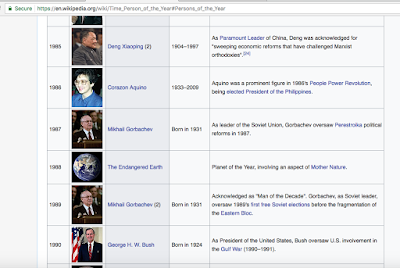 Credits to the owners of the figure, Euromonitor and shared by Duc Pham. Recently, i have been looking @pinterest and there is a lot of cool infographics just like this one. Over the years, i thought beer was invented by the Europeans and Germany has always been top of mind. Thanks to this infographics from @brewdog, i just learned that ancient Chinese started fermenting alcoholic beverage as early as 7000 b.c. And there is actually a goddess of beer, whose name is Ninkasi! And the rest is history! Cheers and Hoppy Sunday everyone! Hello beer fans! This is not about local Pinoy craft beer or anything related to beer. 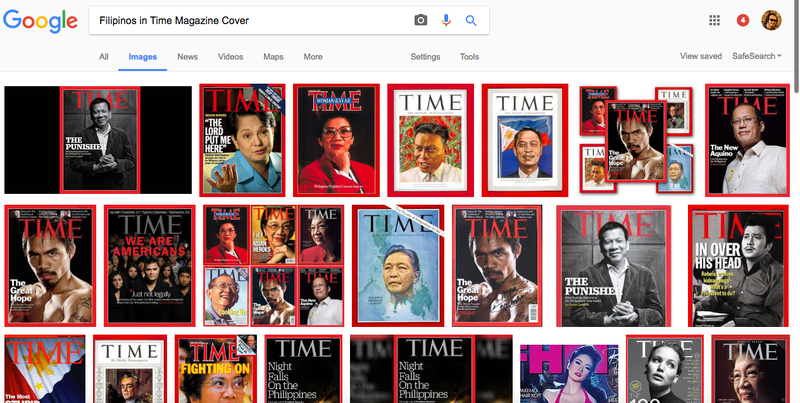 I humbly apologise in advance but this is about National Pride, the Pinoy Pride we are all talking about every time a Pinoy champions himself or herself to the world. As described, The TIME 100 is their annual list of the most influential people in the world—features a number of leading artists, politicians, lawmakers, scientists and leaders of tech and business. I humbly seek for your support and vote "Yes" on the name of President Duterte on the poll, click here. Whether you are against his war on drugs or him personally as long as you are a Filipino, let us vote yes. 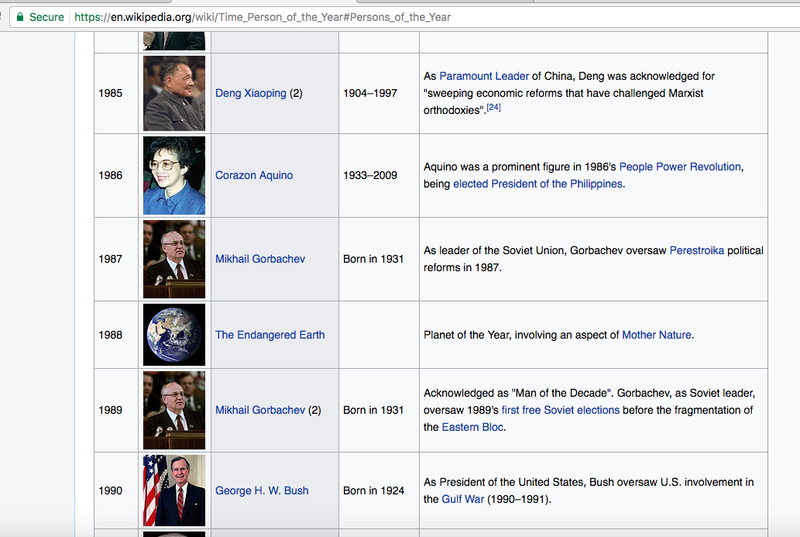 It is not everyday that we get a Filipino in the influential list of TIME 100. Watch the video to see his credentials. 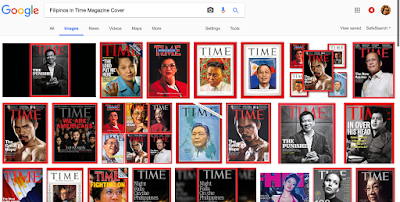 In several occasions, Philippine presidents and boxer Manny Pacquiao lands on the prestigious magazine's cover. Mabuhay tayong lahat! Cheers, sana manalo si Digong. Literally, his chance of winning is in our hands, so vote Yes on his name. Spread the word as well! Cheers! This was the "bestest" weekend so far specially to beer lovers like us. September 30 to October 2, 2016 was a hoppy and memorable one! 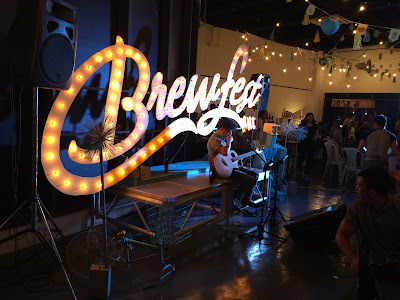 After my Brotzeit Oktoberfest blog, its Brewfest MNL's time. 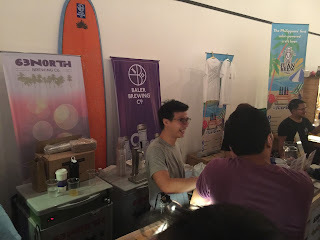 My first brewfestMNL experience was last October 2015 at Le Pavillion, they were just a sideshow in a bazaar, 4-6 local craft brewers and the food carts carried the event. 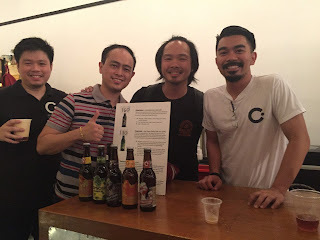 They had another one at February 2016 at World Trade Center with 6-8 craft brewers and they had another last July 2016 at Century City Mall, i missed it but i think it was a small gathering. Then boom, last weekend they held it again at Century City Mall and it was a blast. 19 local craft brewers all in one place??? That is awesome x 10! New names popped out: Baler Brewing, The Perfect Pint, The Laughing Carabao and 63 North Brewing. The Manila Mashers Association also joined the event, a group of local home brewing enthusiasts that shares and learns together everything about craft beer and their ingredients. 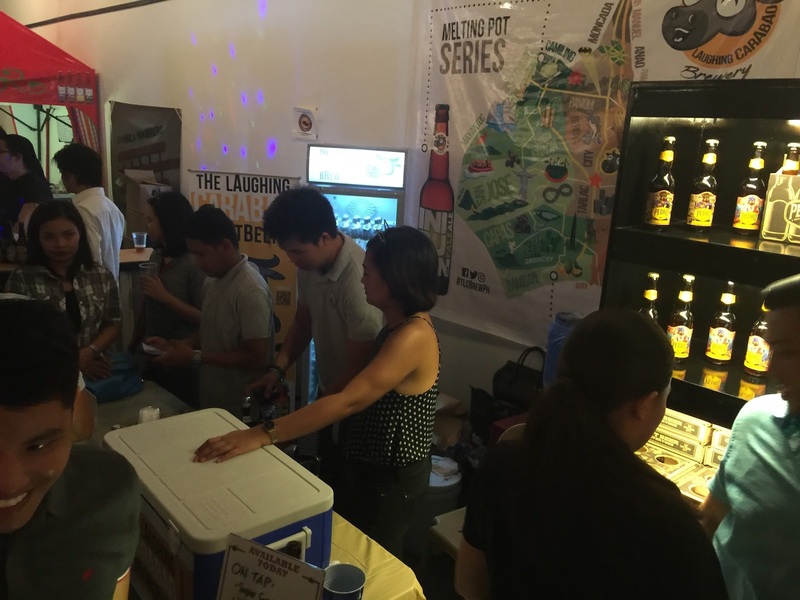 Well-know local brewers include Crazy Carabao, Joe's Brew, Nipa Brew, The Brewery, Juan Brew, Craftpoint Brewing, Great Islands, Pedro Brewcrafters and Cerveza Sagada joined the event. The Bottle Shop carried various brands in The Cebruery, Crows Craft Brewing, Alamat Craft Brew and Palaweno Brewery. I really wish to have all Local Craft brewers in one event, that will be epic. But i am sure, this BrewfestMNL 2016 is one for the books, one of the best i've been to! There were bands to keep the event lively, delicious food, good crowd and most importantly air-conditioned hall. But i have to admit that not all parts of the hall is cold enough but still far better than a tent. I noticed a new beer style was sold in the event like Gose (sour beer), personally not a fan, but it is quite common in San Diego and there is a lot of following there. I also noticed that the flavors of our craft brewers are getting more adventurous, exciting, independent, out of the box, more crazy. After all thats the fun part in craft brewing. Flavors like white mango ale, mango cream ale, spiced pineapple, hunter honey brown ale, puto bumbong, bicol express and halohalo ale. Yes, you read it right. Crazy and interesting! Me i stayed with the IPA, i drank about 6 different IPAs and one beer i remembered the following day because i want it again is Crows De Puta Madre, its really strong and i liked the all around taste of it. Its my first time to try it, i also tried to remember it because it was the most expensive beer that night at 400. Ouch! But its worth it. Anyway, for those people who missed it here are my photos below. 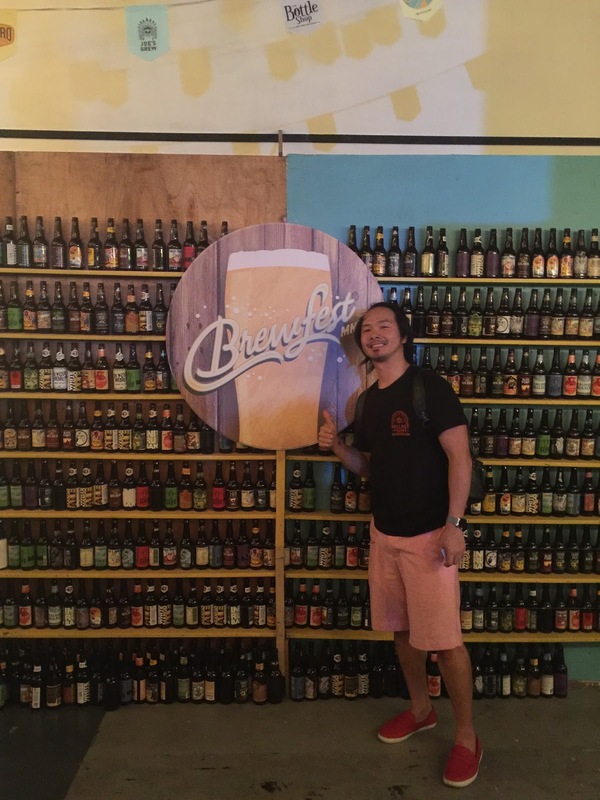 BrewfestMNL's famous back drop but its in the front so should i say " front drop"? 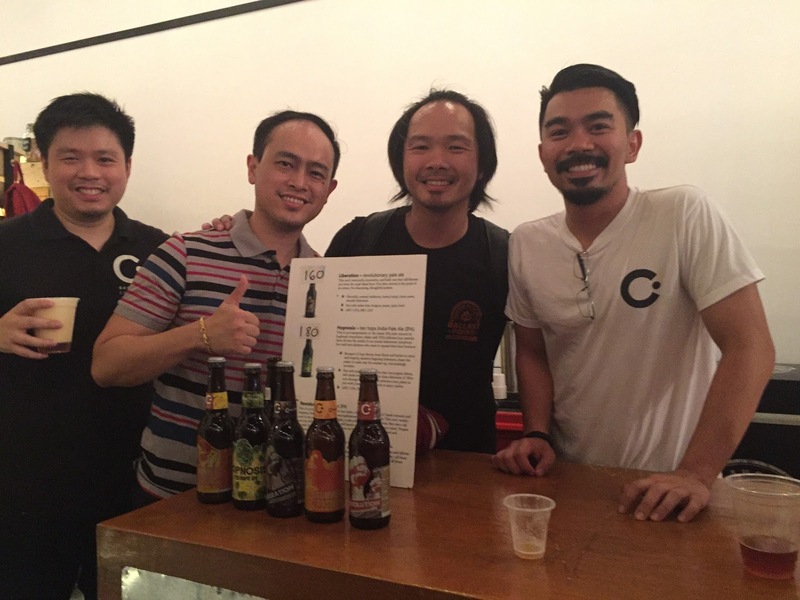 To those who are interested to learn craft brewing, sign up with Manila Mashers Association here.